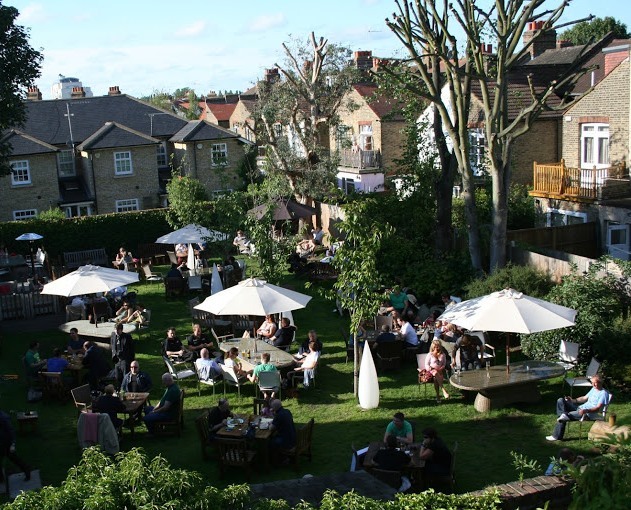 A good pub should be at the heart of every community and the Hare and Hounds more than tops the bill for East Sheen. The historic Young’s pub on the Upper Richmond Road is much-loved by locals and nearly always busy. Built in 1831 and probably a coaching inn in its early days, it underwent a major refurbishment in 2009 which has enhanced its comfort and charm without ruining its appeal with too much modernisation. It’s managed by a young Kiwi couple, Simon and Sara Kerton, who live upstairs. They took over in October 2011 and their energy and drive is the reason why the pub is flourishing amid difficult trading conditions as the country hauls itself out of the recession. The go-ahead couple learned their trade from the bottom up having started with Youngs as bar staff in 2000 so know what they are talking about. The first pub they ran was the Bunch of Grapes in Fitzrovia. 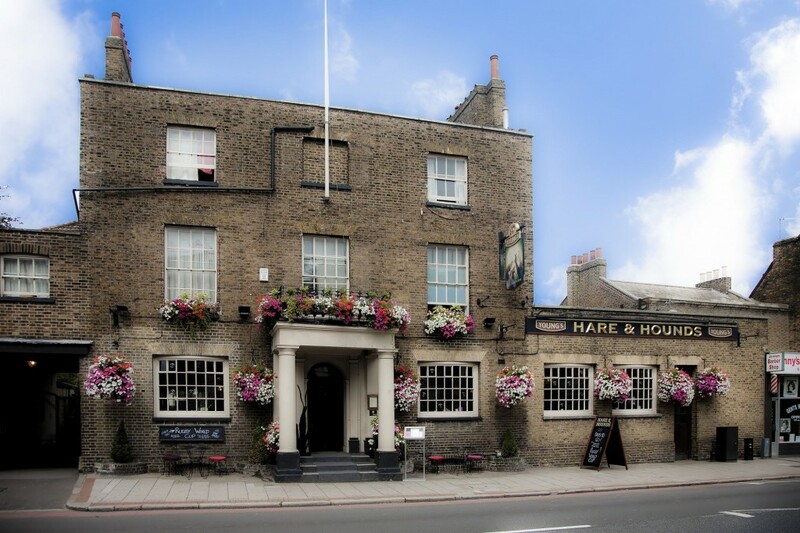 Now they have a major undertaking with the Hare and Hounds which has a lot of space and tables to fill plus a large garden in the summer and needs up to 20 staff to operate. Not surprisingly for a pair of Kiwis, rugby is one way they do it. The sport has a big following in West London with Twickenham being just down the road and they are able to show the Six Nations Tournament on BBC television on the pub’s four sets, including a 61-inch monster screen in the Snug Bar. Also on the agenda to bring in the customers is a regular Wednesday night quiz done by Simon, and poker every Thursday night in the Snug. There is also jazz every other Sunday afternoon followed by an open session in which anyone can join in. Their menu is packed with goodies like homemade Chicken, Ham, & Mushroom Pie for £12.75, Seared Salmon fillet with wilted spinach and fragrant cous cous £12.50, and BBQ pork ribs. “They are so popular we can never take them off the menu,” says Sara. All the desserts are homemade as well including Baileys & banana bread and butter pudding with custard or delicious sticky toffee pudding with vanilla icecream. For a couple who only planned to leave New Zealand for a couple of years, they seem very content with the way things have turned out. 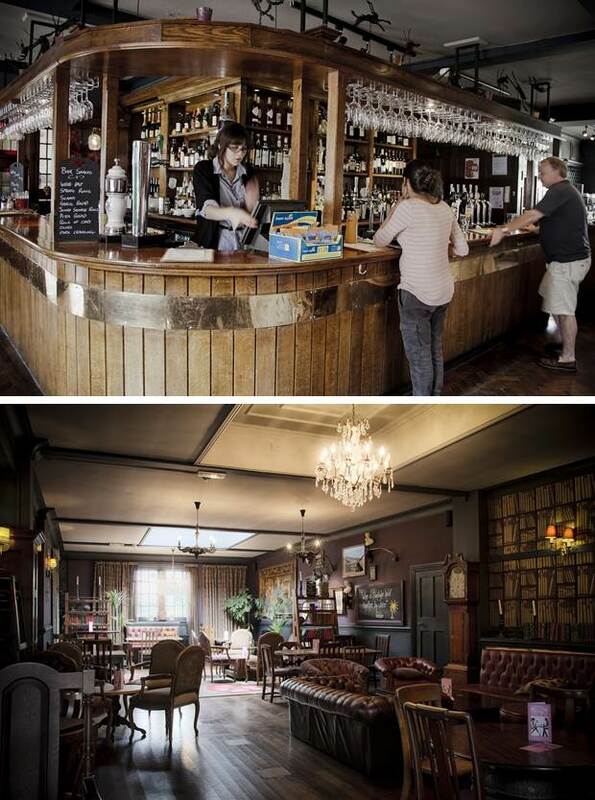 “The Hare and Hounds is a lovely old pub and we are very happy to run it,” confirmed Sara.